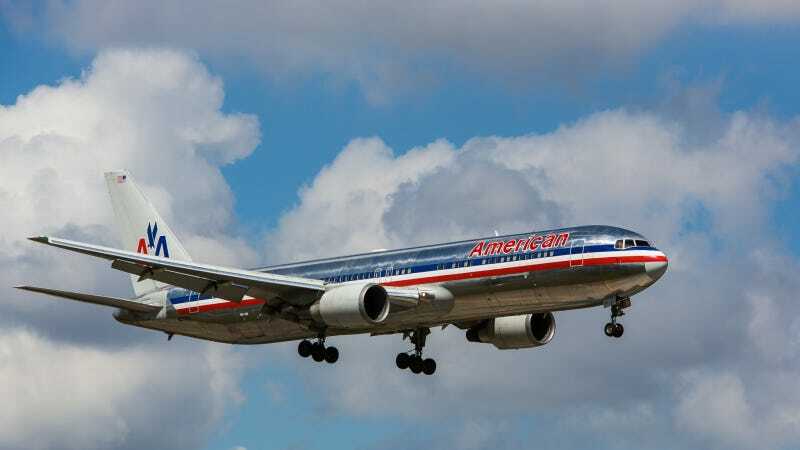 For the second year in a row, American Airlines has been ranked the least climate-friendly airline in America. Since 2010, the International Council on Clean Transportation (ICCT) has been scoring fuel efficiency among U.S. air carriers by scoring their traffic volume against fuel use. Out of 13 carriers examined for 2013, American came in last with a score of 0.88, compared with the industry average of 1. That means they burned 27 percent more fuel per unit transported than the leading carriers. Their main problem, ICCT said, is that they continue to run one of the oldest fleets in the country. American has finished in the bottom-two since the survey began. Allegiant, which flies the oldest planes overall, was able to improve its score slightly by increasing seating density. They came in just ahead of American. A total of eight carriers (highlighted above in red) used at least 10 percent more fuel than necessary based on ICCT's calculations. Alaska, Spirit, and Frontier airlines were found to be the most fuel-efficient airlines. They use more planes with fuel efficient engines on the market, and run fewer inefficient routes, which translates to carrying more passengers per flight. Overall, there was actually no net gain in the fuel efficiency of U.S. operations from 2012 to 2013, "due to the stagnating fuel efficiency of other carriers, notably American Airlines," ICCT said. Air travel is one of the least climate friendly things humans do. If you counted it as a country, the airline industry would rank seventh in terms of CO2 emissions, just after Germany and well ahead of Korea. It's why people like meteorologist Eric Holthaus and Runner's World contributing editor Christie Aschwanden gave up flying. The airline industry has pledged to scale back their emissions back to 2005 levels by 2050. But it appears they're falling behind. ICCT said this may be due to stagnant fuel price growth, meaning carriers lack incentive to invest in more efficiency. It may thus fall on policymakers to put more pressure on the laggards to beef up their climate friendliness, they said.